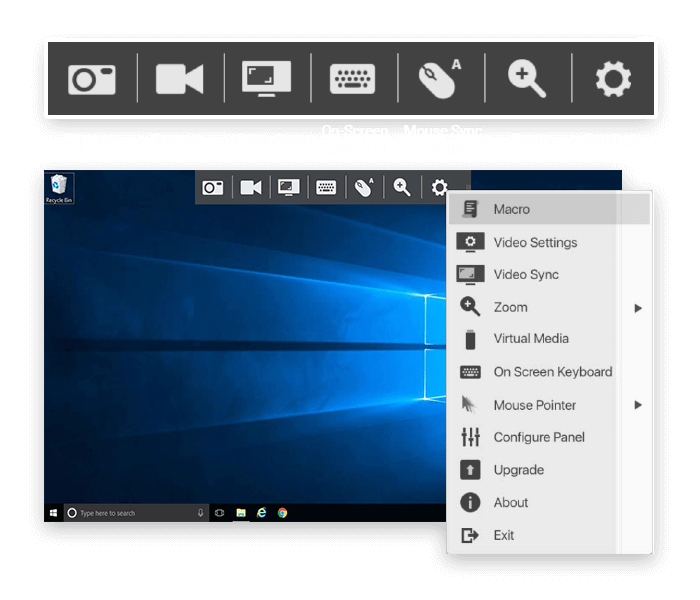 Experience our online interactive trial to see how the ATEN all-in-one crash cart adapter makes your work easier and more professional. For both on-site and collaborative remote troubleshooting. * In order to provide the optimum trial experience, the trial program is currently available in the following countries: China, Japan, United Kingdom and Australia. Save a record of remote operations for future tracking/training and troubleshooting. 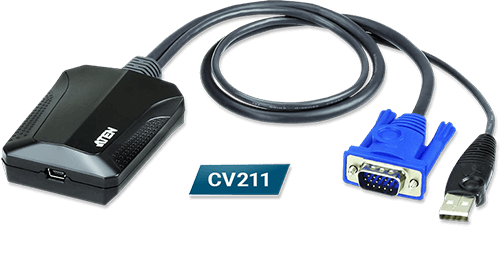 Connect CV211 directly to the target server/system from your laptop and troubleshoot with ease. Connect CV211 to the target server from your laptop to collaborate with remote colleagues, or allow troubleshooting by remote engineers via remote access software. "Using the CV211, you can determine the status of the host within five minutes. This not only shortens working hours but also greatly increases our overall effectiveness." "Using the CV211, one of our branch assistants can connect to the server so we can troubleshoot remotely from the Taipei office, meaning no one has to take a special trip. This saves us time, manpower and costs."